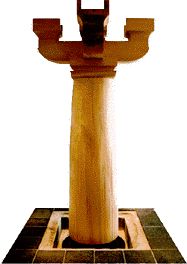 This pillar from Horyuji Temple is reproduced in full size and includes the entablature. It is displayed as the symbol of the Center. The Horyuji i Center, located in front of Horyuji Temple, is a beautiful building that harmonizes with the surrounding Yamato plains. 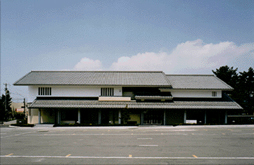 The i Center provides tourists with informationon "Rekishi Kaido" as well as a place to enjoy a rest.